I am the queen of everything. The queen of nothing. My kingdom is fashioned from hopelessness and regret. I sit in my palace of faded dreams while my subjects smile and nod and lie and cheat. ‘You’ll be fine,’ they say. ‘You are fine.’ But I’m not. My present is haunted by echoes of the past, whispers from the future. I am cracking and falling apart. My reflection laughs and laughs while I stand and cry. I stretch out my fingers to touch my face but I am so far away from myself I cannot reach. ‘You need a King,’ they say and suddenly, there he is. My shoulders sigh with happiness. But my King is a shape shifter. He is light and shade; triumph and grief. He cradles my hopes in his hand but one by one he lets them fall where they lie shattered in the lonely beam of sunlight that pierces the darkness. I take off my crown, remove my cloak. Step out of my skin. 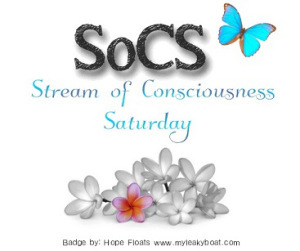 It has been far too long since I last participated in Streams of Consciousness Saturday and I’d forgotten how good it feels to sit and write a response to the fabulous Linda G Hill’s prompt and post without over thinking or editing. Today’s prompt was to use ‘so far’ in piece or writing that can be fact or fiction. If you fancy having a go, you can join in here. I gazed in wonder at your ten tiny fingers, your ten tiny toes and I knew that I was hopelessly, irrevocably lost. Your first smile made my heart swell, your first illness sliced me to the core. The memory of your first day at school etched forever on my mind as your tiny hand slipped from mine and you took the first faltering steps towards independence. Standing tall, and proud on your first day at work, no longer a boy but a man. It is incomprehensible that I could and yet with every second, every minute, every hour, I do. 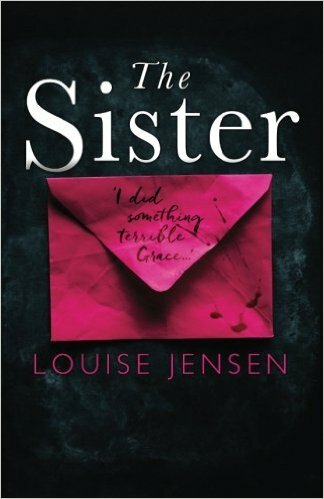 Writing my debut novel, The Sister, was a joy. Even now I remember waking up in the middle of the night, stomach churning with excitement as I thought of a new plot twist. Each day, after work, I couldn’t wait to open my manuscript and get stuck in. I dreamed of being published of course, but never really thought it would happen to me. I was writing for fun. For me. With no time pressures and no deadlines. 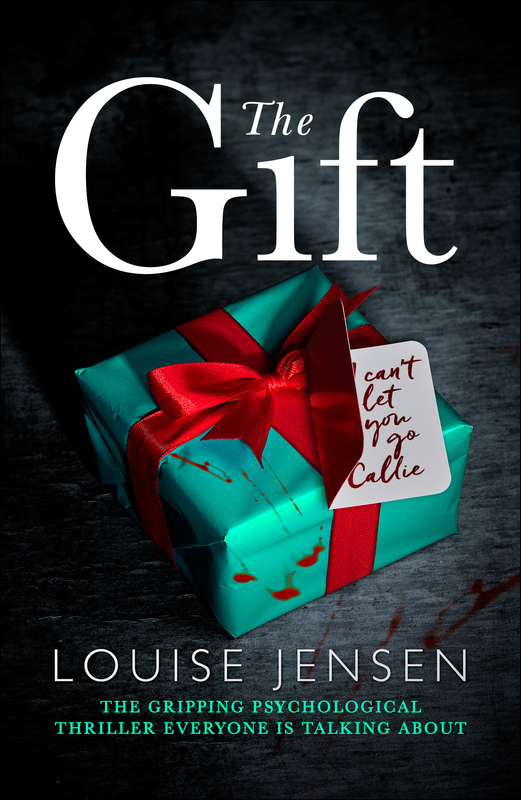 My second psychological thriller, The Gift, is now available to pre-order, and this time I’m writing knowing it will be published as I was lucky enough to sign a three-book deal earlier this year. I’m still waking in the middle of the night, stomach churning, but this time with nerves. Will it The Gift as successful as The Sister? What if readers hate it? Will I finish the edits on time? My deadline is the first thing I think of when I fall into bed and it pops into my mind as soon as I wake. Naively, I never really thought of publishing as a business, more a collaboration of creative people who share a love of books, and the structure is something I am still getting used to. Once I sit at my desk however, I lose myself completely in my manuscript, and all my fears evaporate. When I’m writing, nothing else matters and I feel utterly at peace. Writing brings a sense of home, wherever I am. 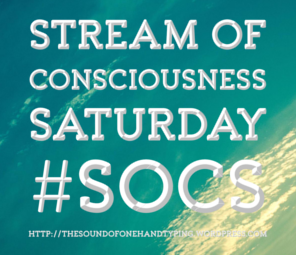 Written for Streams of Consciousness Saturday hosted by Linda G Hill. 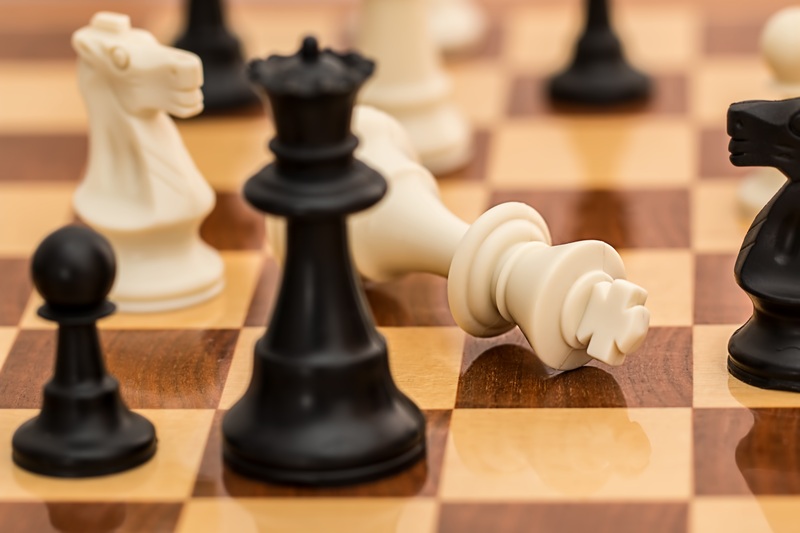 Write the first thing that comes to mind following the prompt and post – no editing allowed. The prompt for this week’s Stream of Consciousness Saturday is: “bus.” Use it as it is, or find a word with the letters “bus” in it. I’ve made a horrible, horrible mistake, and the realisation there’s no going back stings sour at the back of my throat as I swallow down the lies I’m now forced to tell. I want to scream, and sometimes I do, burying my face in my pillow and howling out my frustration. Your key scrapes the lock and I plaster on a smile as we fall into our daily script. I ask you how your day was and listen intently as if it’s the most interesting thing I’ve ever heard. A semblance of normality, even though it won’t last. We both know what’s coming but nobody else would ever guess the horror that goes on behind these close doors, and how could they? 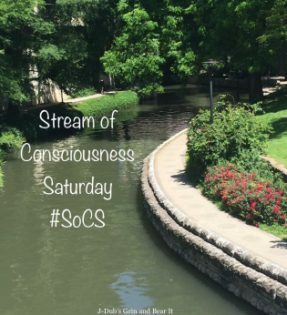 Written for Linda G Hill’s Streams of Consciousness Saturday – write the first thing that springs to mind following a prompt and post – no editing allowed. This weeks prompt is real – use as it is or with a prefix or suffix. Remind me that life’s full of colour; if you only look. The blood clot moved; he’s gone. I’ve been wanting to create some six word stories and when I read that this week’s Stream of Consciousness prompt is ‘use a word containing the letters CLO’, this sprang to mind. It’s a bit grim for a Saturday – sorry! There are lots of things I miss about childhood; the sense of euphoria on the last day of term, as endless balmy summer days stretched before me; the ability to bend and twist my body into any conceivable shape and hurl myself down hills without fear, waking on Christmas morning, stomach lurching, eyes straining in the dark, has Santa been? Snoopy. The peanuts gang were a huge and much loved part of my life. Even now, as an adult, as a mother, I’m not ashamed to admit whenever I feel life get on top of me and I feel like giving up, I channel my inner Charlie Brown. As much as I felt his frustration every time Lucy pulled the football away I admired his determination to try again, the quiet hope that this time could be different. This time he could succeed. 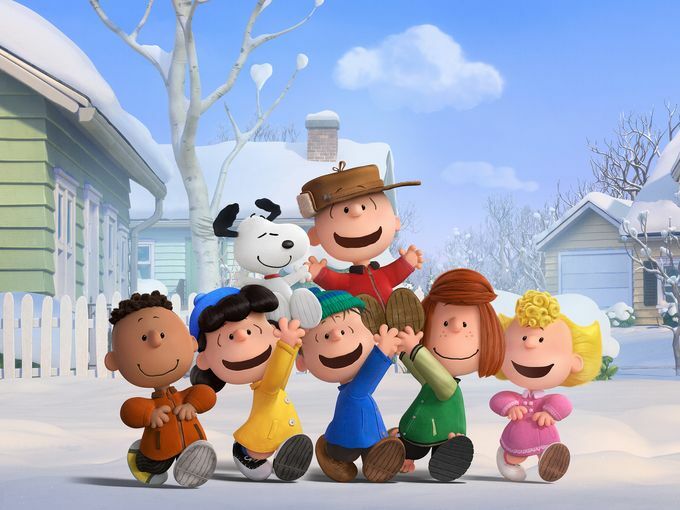 I did a little snoopy happy dance when I checked the cinema listings and saw the Peanuts movie is out today. Shoes are on, tickets booked, three hours to go. I am so excited. Written for Streams of Consciousness Saturday. Write the first thing that comes to mind following a prompt and post. No editing allowed. This weeks prompt is ‘miss.’ Read the other entries here.